Okay so let’s get this out of the way. People are going to say, “Oh puhleeze they’re just getting this kind of attention because their dad and mom are Will and Jada Pinkett Smith.” “Or they have an unfair advantage like most kids who come from famous lineage.” Alright, okay, alright so these claims may hold some validity but if you separately dissect these teens catalog of work, albeit diminutive, you will be unable to negate the raw talent that these siblings possessed at a very young—ahem, younger age. I mean we are talking about watching Willow headbanging with the vigor of Motley Crue at nine-years-old and Jaden showcasing his acting chops on the big screen with his father at the age of eight. “A forthcoming EP, called ‘3’ will feature her “big sister” SZA and be produced mostly by AzZi, a friend and frequent collaborator of Willow’s older brother Jaden”—Fader.com. 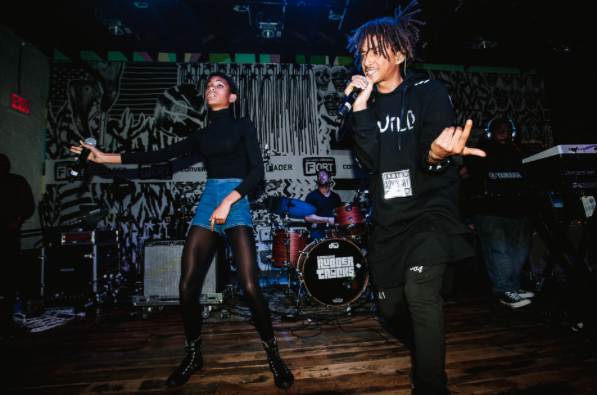 It’s blatant that Willow is changing the musical direction of her career from her viral hit, ‘Whip My Hair,’ but have Willow and big brother Jaden forayed into this music realm in a collaborative effort as Gweelos? 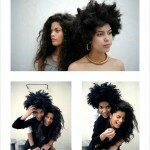 Perhaps not since Willow is releasing a solo EP however they are definitely collaborating. 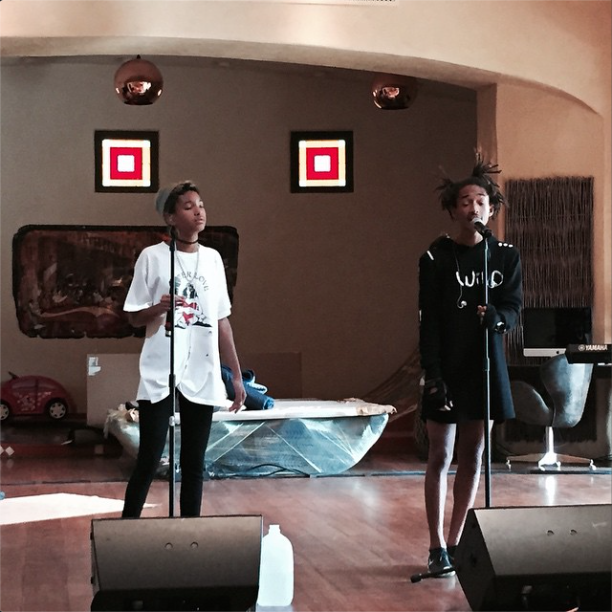 Jaden, rocking facsimile Weeknd locs, and Willow, a short curly haircut, have already formulated the visually stimulating artist image. So yes it’s proven that Will and Jada produce aesthetically pleasing to look at offspring. So what? Big deal. What’s their music sound like? Well let’s talk about that. 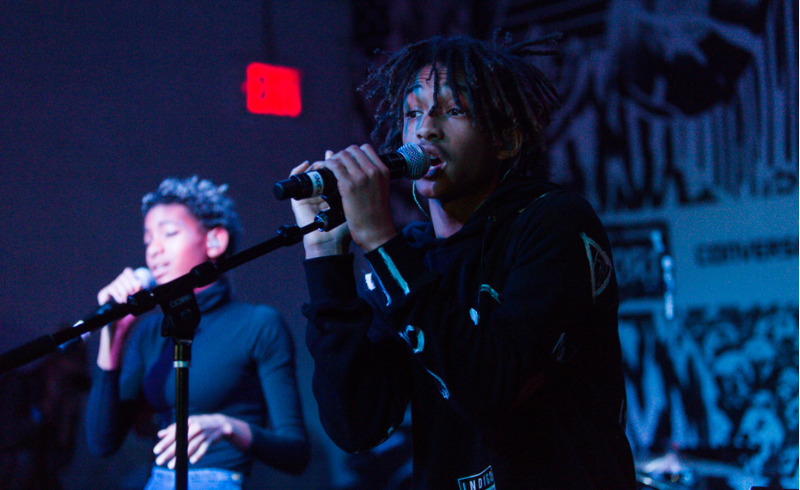 Watch their live performance at the Fader Fort and listen to Willow’s speak easy sing-song intonation akin to Odd Future’s female counterparts on her track entitled “5.” Then listen to Jaden’s flow on the track, reminiscence of those neo-soul/ hip hop days that had you nodding your head and digesting every rap syllable without thinking about creating a “What did he just say?” instagram meme. 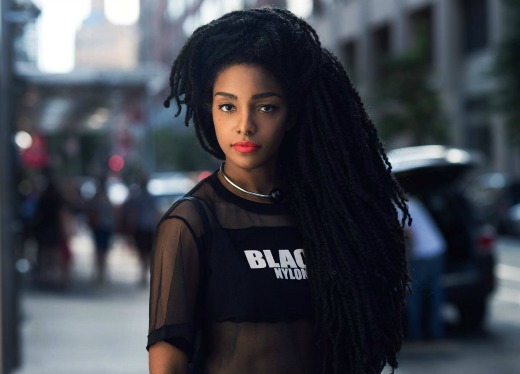 Now listen to Willow’s ‘King Krule—Easy’ (Cover) and feels like you’re listening to the precocious love child of Zoe Kravitz, Febe Dobson and Res. There is not much material for me to fully access these siblings’ work as a duo however at this stage it would be fair to acknowledge a few things. Are they talented? Yes! Is there room for improvement in their live performances? Yes. Have they reached their full potential? No. They are thirteen and sixteen years old so one would hope that the potential for growth is not stagnant at this point in their careers. Sure I could concoct a few catch phrases garnered from their parents’ extensive catalog of work…but I shall eschew from doing that. What I will say is once you get over the fact that their parents’ net worth is over two-hundred million dollars you’ll realize they are just kids who are pursuing their passions. Just kids enjoying honing their craft and having fun in the process. 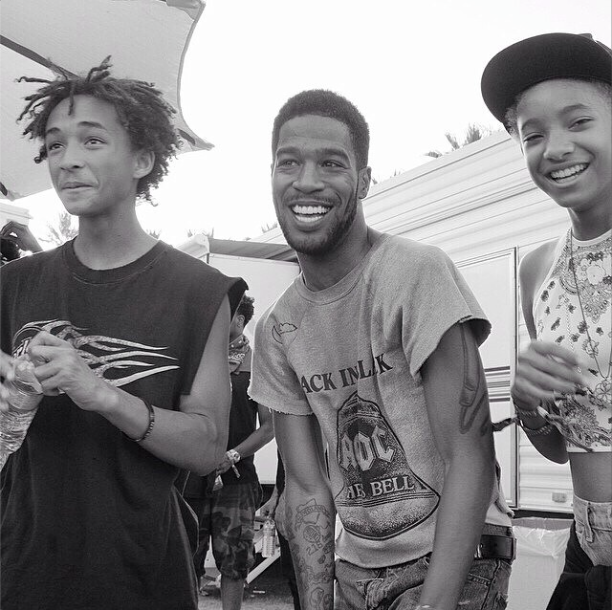 Simply put Willow and Jaden have a love for music and hope that more than just their parents will understand. Willow is stunning, I think she’d make a great model. Personally, I’m not a fan of either of their music but great review. I look forward to your other articles :). Thank-you Takara Appreciate the feedback and yes she is a stunner. 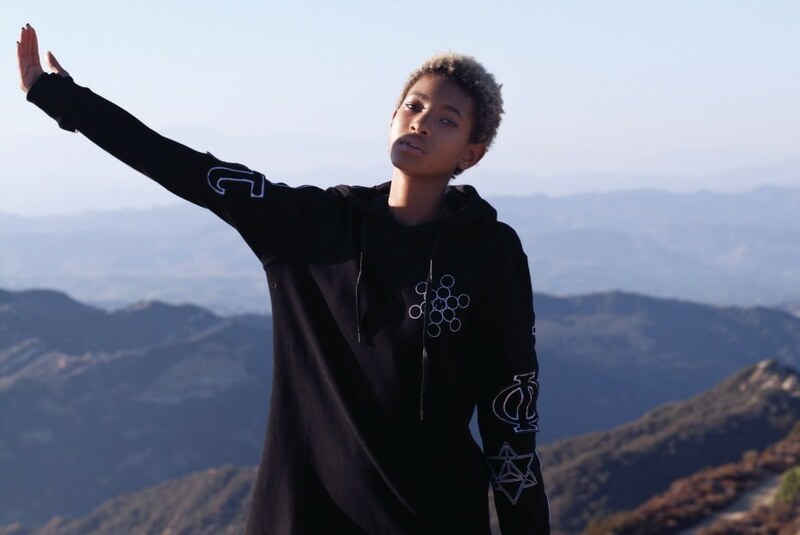 @Anais Curlsoflnnocence Owens, hey why not, freedom of expression Though I believe the “dress” you are referring to is just an extra long hoodie (if you scroll above can see Jaden rockin the same look with jeans at the Fader Fort). i agree with you TK, they have some nice talent. I think kids from famous parents have to work harder and if you’re not good, famous parents aren’t gonna help especially playing to the crowds of today. I really enjoyed reading this……nice ! 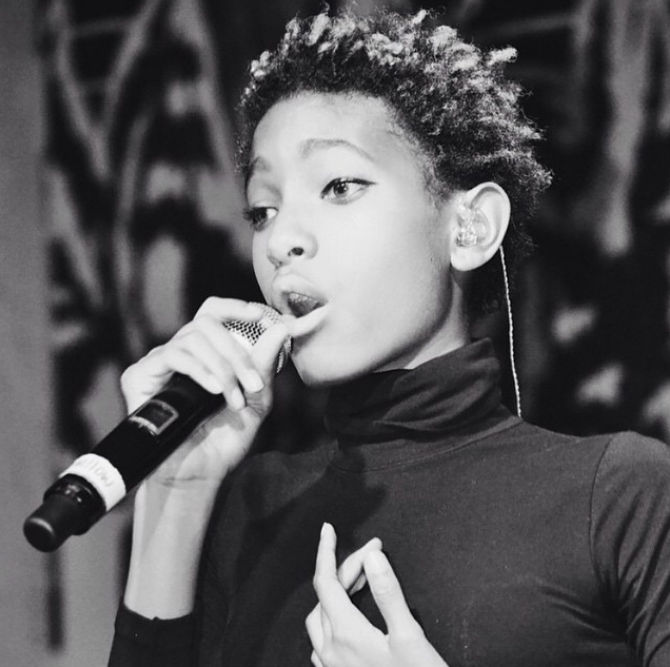 I really like Willow’s style. I think they are representing the youth of today very well. Hey awesome review TK! 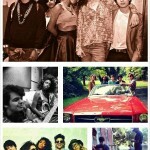 I like how they are going forth with their dreams of acting and/or singing. I mean, who cares if their parents are famous?! They are doing positive things that makes them happy. Start with good parenting Great review again! I’m glad you enjoyed the article, thanks so much CJean. I agree and yes who cares, they have talent and that is what matters the most.